When you envision beaches, odds are, you think of the striking white sands on a Caribbean island, or Cabo beaches, with countless tourists sipping margaritas in the sun, but Canada actually has more coastline than any other country in the world, so it’s should really be no surprise that it also offers some beautiful beaches, and that includes the Atlantic province of New Brunswick. Miles of miles of unspoiled coastline abound, from the rocky Bay of Fundy to the tranquil sand dunes of the Acadian Coast. Truly, no matter where you are in New Brunswick, you’ll never be very from a beach. But where to start when you have more than 50 to choose from? Whether you prefer a sandy stretch, a rugged coastline, or a peaceful deserted beach, you’re sure to discover your favourite among these. 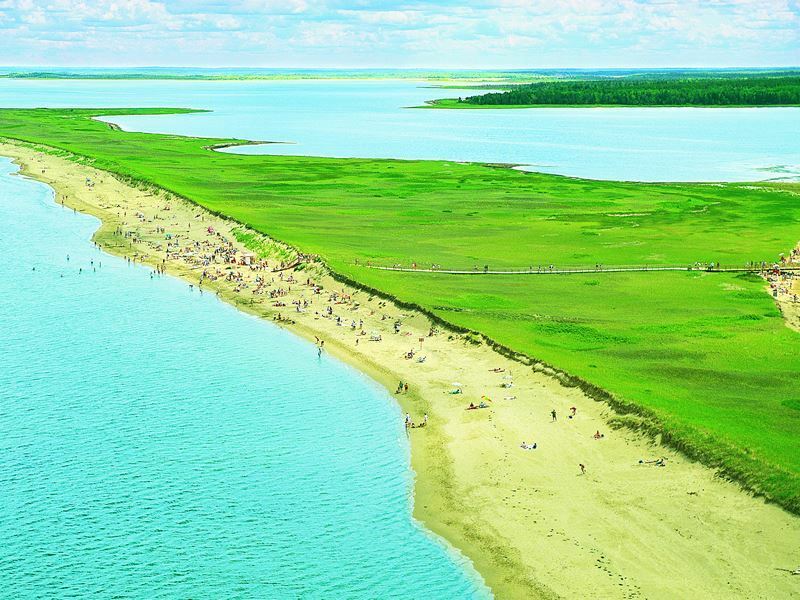 Located in eastern New Brunswick along the shores of the Northumberland Strait, renowned for its warm saltwater beaches, Kouchibouguac National Park is home to two of the provinces very best beaches, as well as picturesque sand dunes. Callanders overlooks the balmy lagoon waters and is ideal for relaxation as well as families with young children, as they can wade in the shallow waters. Kellys Beach boasts gorgeous white, sandy shores popular for swimming, watching playful seals and spotting the over 200 species of birds that call this area home. Native birds like terns, as well as piping plovers, an endangered species, nest here. 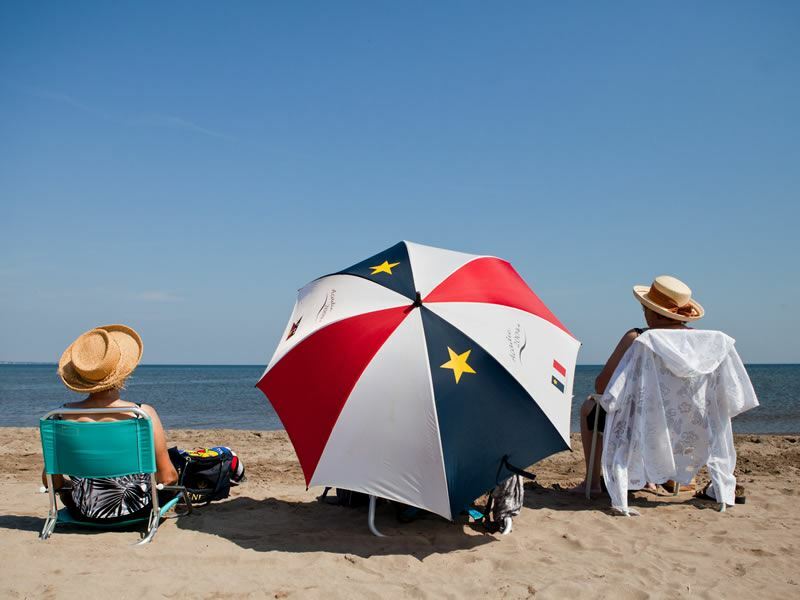 Situated on the Northumberland Strait in Shediac, is one New Brunswick’s most popular beaches, offering some of the warmest saltwater around. 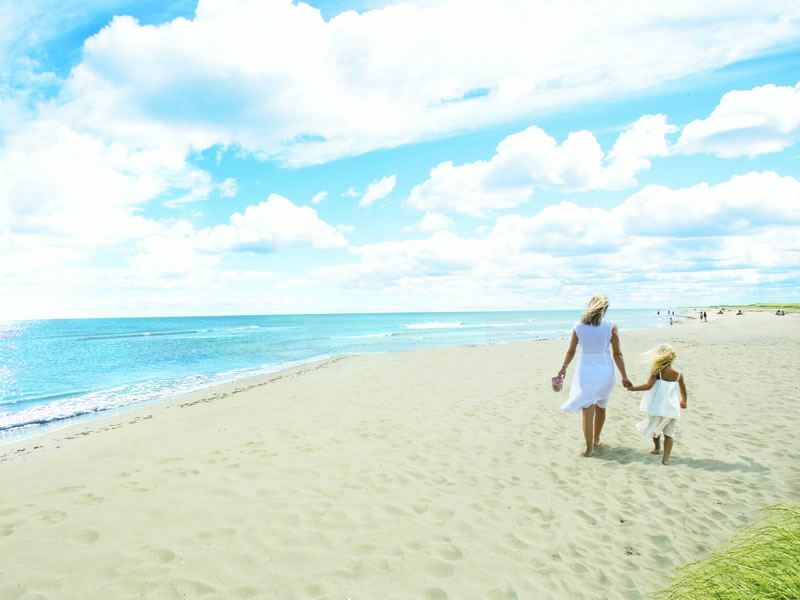 Every summer, about one million people visit to soak up the sun and the sand. Most people who come, alternate between taking a dip in the water and lounging on the silk soft sands. Parlee draws lots of families as it’s extremely safe, with no currents, and there are a number of attractions as well, like the Homarus Eco-Centre where visitors can get a close-up look at the mysterious world of the lobster, or enjoy cruising around the bay while feasting on lobster while out on the gentle waves. Those who want to get more active to rent a paddleboard or kayak to take out on the water. There’s almost always something going on here, from volleyball tournaments and ultimate Frisbee to yoga on the beach and sand castle competitions. Couples who want to enjoy a little private time can find it on the west end of the beach – an insider’s secret, this is where it begins to curl away, offering the ultimate in peace and tranquility. Aboiteau Beach is located in the heart of Acadia in l’Aboiteau Park. The Acadian region was shaped by the sea and features a stunning backdrop of lighthouses, seaside cottages, coastal islands, and of course, sandy beaches. 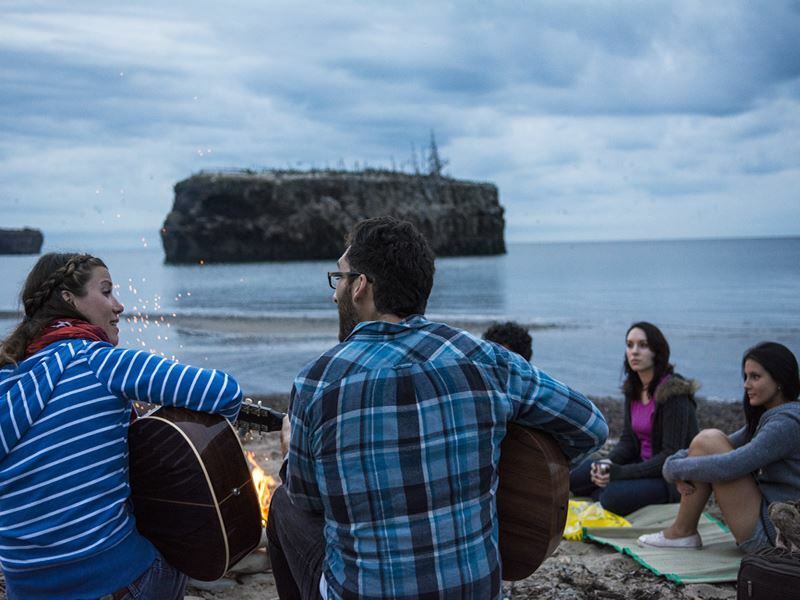 Aboiteau is a 5-kilometre stretch of beach at the edge of the Atlantic and offers lots of amenities, including a restaurant, cottage rentals, boardwalk, souvenir shop, volleyball nets, showers and more. Visitors enjoy walks along the shoreline, swimming in the warm waters, exploring the sand dunes, marshes and heading up the lookout tower where on a clear day Prince Edward Island can even be seen. Bird watchers can enjoy gazing at the shorebirds and waterfowl in the marshes too. One of the best ways to end your day here at Aboiteau is to enjoy a seafood feast on the Au Quai Aboiteau Wharf Restaurant patio, which overlooks the ocean and offers the chance to enjoy a glorious sunset along with a delicious meal at what’s been called the very best seafood eatery in Atlantic Canada. 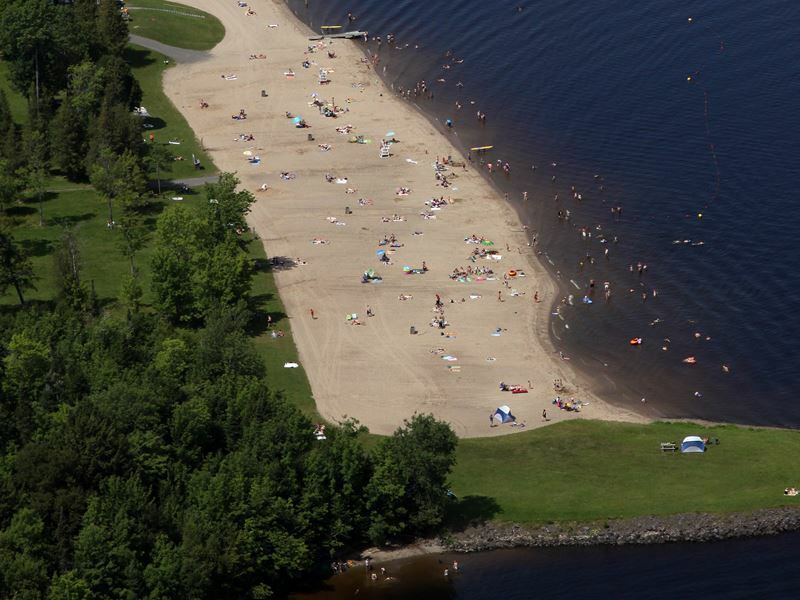 Mactaquac Provincial Park is home to this freshwater beach located along the Saint John River in Mactaquac. Ideal for picnicking, sun worshipping and splashing in the water, you’ll find picnic areas, a campground, showers, change houses, food service and more. The park also hosts a golf course and hiking trails, for those who want to spend a little time away from the sand too. This is an outstanding beach for outdoor adventurers, with the opportunity to canoe and windsurf too. If that’s not enough, the kids can keep occupied by enjoying entertainment at the recreation centre, and the whole family can look forward to the magnificent views and fine dining on dishes made with local ingredients at MOCO Kitchen, located in The Clubhouse. 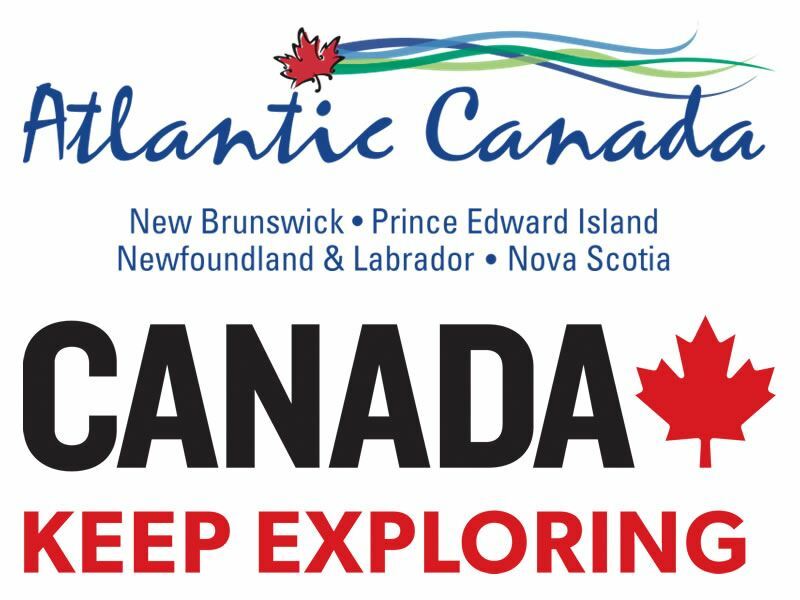 Located on the site of the Irving Eco-centre near the town of Bouctouche along the Acadian Coast, this seven-mile sand dune area features a well-maintained saltwater beach and is popular with nature lovers and a focal point for ecotourism. The centre preserves this excellent example of a coastal ecosystem, and protects the rich, fertile oyster beds in the bay. There are boardwalks and trails to the beach that make it possible for visitors to explore sensitive areas without harming the environment. Visitors can attend a variety of programmes and presentations focused on the coastal habitat, hosted by a team of interpreters, as well as get a glimpse of the area’s underwater world at the saltwater aquarium. There are guided tours for exploring the dunes, as well as a lookout tower for taking in fantastic views. Murray Beach is located in Murray Beach Provincial Park along the Northumberland Strait near the Little Shemogue River. If you take the scenic Acadian Coastal Drive, it’s a perfect stop in the southeastern portion for a little relaxation and a break from behind the wheel. On the warmest days, you might feel as if you’ve step onto the pristine sands of a Caribbean beach. For bird watching enthusiasts, it’s truly a must, thanks to the astounding avian bounty - the sheer number of birds that live just off the sand make it a haven for relaxing on the sand in between looking up to the sky. The sandy shore is ideal for beachcombing and offers oodles of other attractions and activities too. If you enjoy long walks on the beach, you can take a stroll to nearby picturesque covered bridges and lighthouses that make the area a photographer’s paradise, especially at sunrise and sunset. Visitors can also paddle the waters in a sea kayak, attend farmers markets and festivals, and explore historic sites. 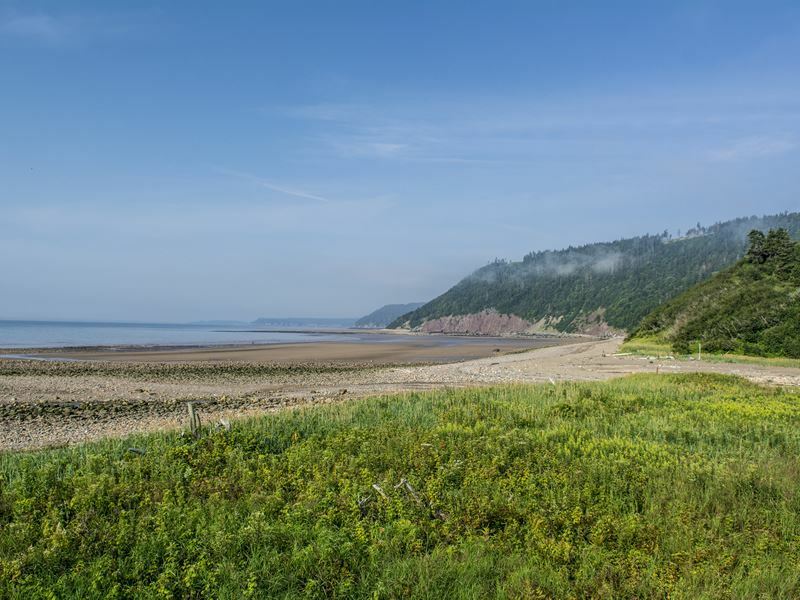 The Bay of Fundy is home to miles and miles of unspoiled, saltwater beaches that are ideal for splashing in the waves, lounging in the sun, discovering driftwood and shells, and taking quiet strolls. In fact, there are few places on the planet that are more inspiring than this, with the chance for practically endless adventure, spectacular coastlines and magnificent tides that are known as the highest in the world. 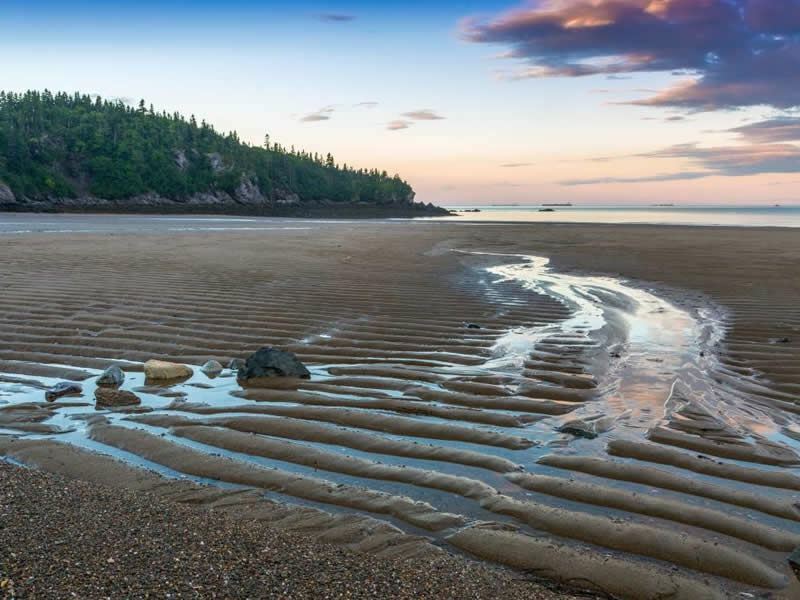 A new phase of the Fundy Trail Parkway opened to the general public in 2016, providing direct access to Long Beach, a spectacular 2.5 km tidal beach featuring sand, pebbles, cobbles and boulders. At low tide the beach extends 500 meters into the bay so visitors can truly walk on the ocean floor. Hikers can also access Long Beach from the Fundy Footpath and hike the 4.4 km trail from Big Salmon River. 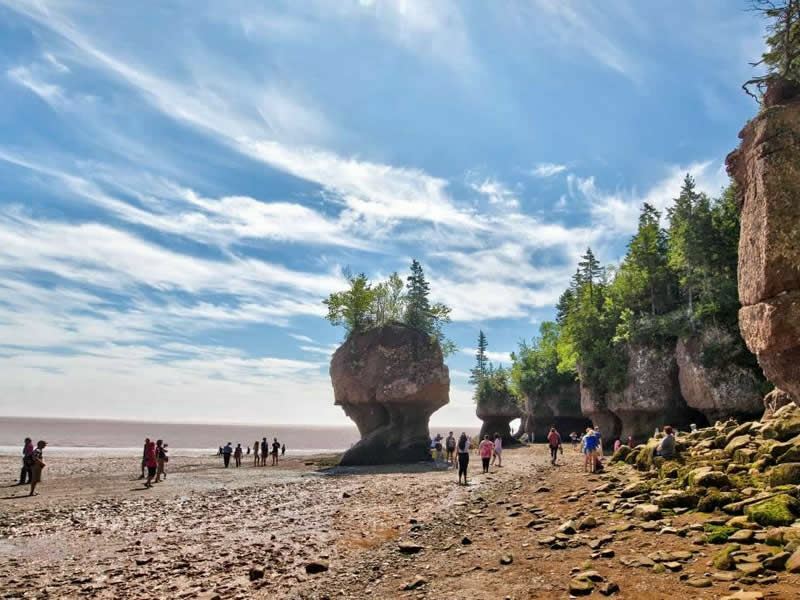 If you hope to explore its famous tides, head to The Hopewell Rocks of Shepody Bay. The unique rock formations were created through the erosion of sandstone along the shore by the massive tides. The wearing away of that shoreline left these huge pillars of stone with trees on top that tower above the low tide mark. Visit at low tide and you can admire them, but don’t stick around – there is 100 billion tons of water that rise and fall here twice each day. At low tide, you can walk the ocean floor around the famous “flowerpot rocks” and watch them slowly disappear before you leave. Mavilette Beach, along the French Acadian Shore, features boardwalks that protect grass-covered dunes leading to the 1.5-kilometre sandy beach. At low tide, the sand flats are exposed to the direct heat of the sun, and when the tide comes in, those hot sands warm the water to make it ideal for a refreshing dip. Just outside the city of Saint John, New River Beach is a place you’ll find both locals and tourists alike enjoying all sorts of activities, as well as relaxation, though it almost never gets too crowded. It does draw quite a few for its amazing annual sand sculpture competition, which brings out all sorts of people who spend hours creating fascinating, and often intricately detailed sculptures from the sand. As the contest requires a very low tide to allow participants enough time to finish their creations, the dates of the event change every year, though it’s often around late July.